Owner Says Sell! Are you ready to go cruising? 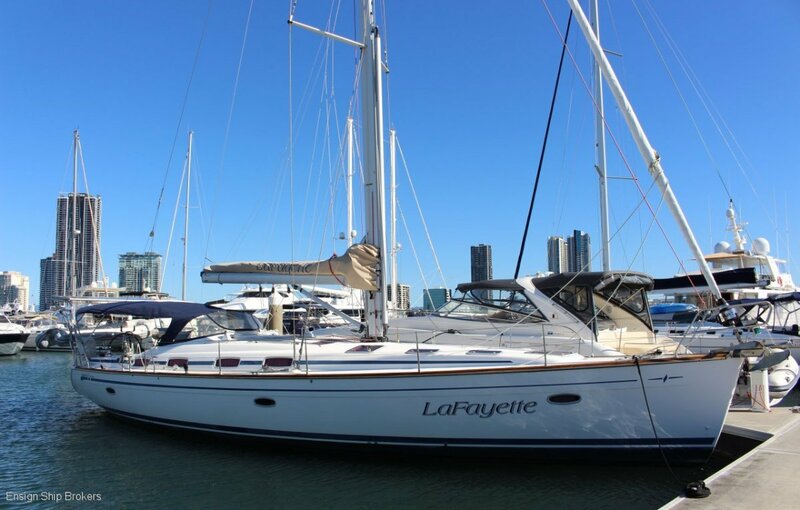 This fantastic Bavaria 50 has been well set up for short hand extended passage making or live aboard. In an added bonus she is a great performer and been involved in many a sailing regatta as well. She features a wonderful 4 bedroom layout with a separate utility room, Genset, air con, water maker, good electronics, solar panels, stainless steel davits, electric winches and only 300 hours on the Volvo 75hp engine. Owner spent near $20,000 in March 2018 giving the engine a full overhaul. This vessel is Australian Ship Registered and represents fantastic buying. Cabins: 4 Cabin vessel. Two aft cabins, Forward owners, Bunk cabin. Deck Gear: Upgraded winches, Electric primary winches, Ronstan blocks.